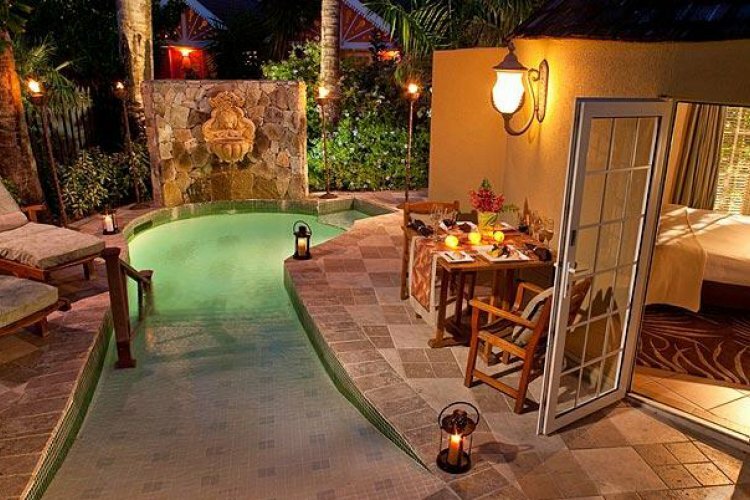 Especially popular with honeymoon couples, Sandals Antigua is a luxury all inclusive sophisticated resort. 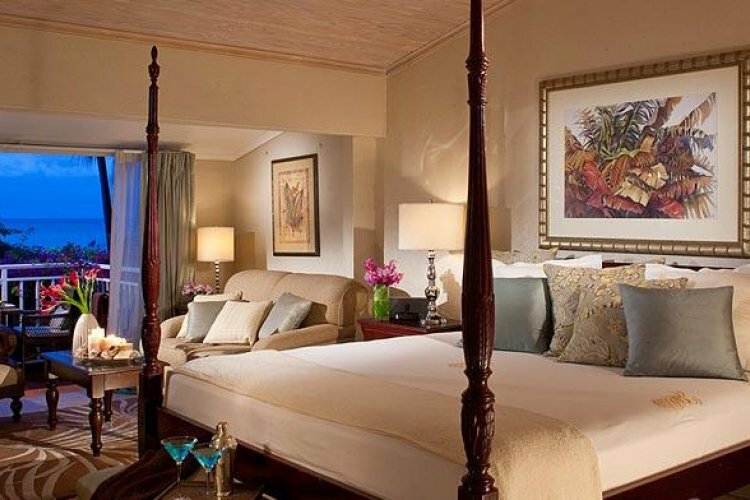 Sandals Grande Antigua offers the highest level of service. 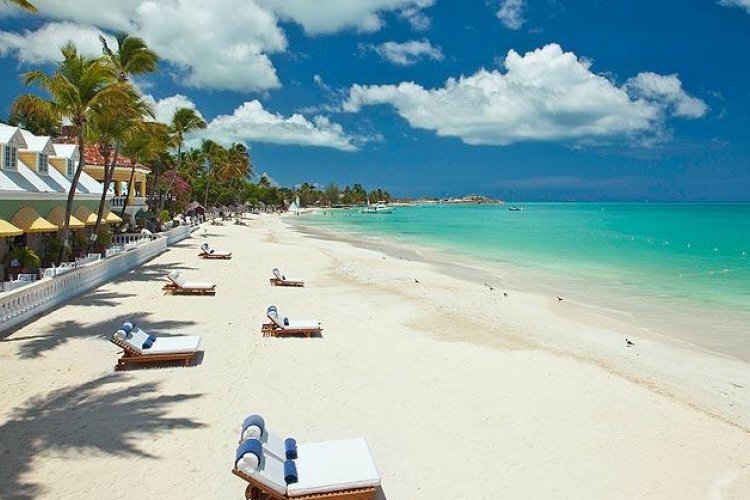 Nestling on beautiful Dickenson Bay, Sandals Grande Antigua is a sophisticated resort set amongst lovely gardens. 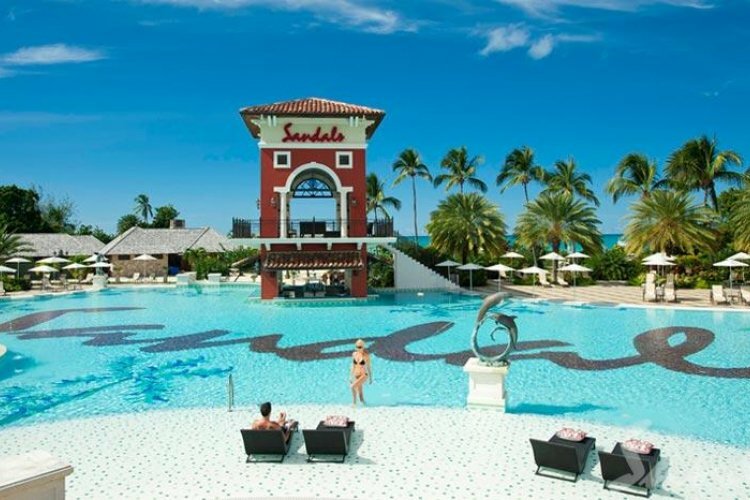 Like all Sandals resorts, there is an excellent choice of restaurants complimented by fantastic sports facilities for you to work off all those extra pounds. 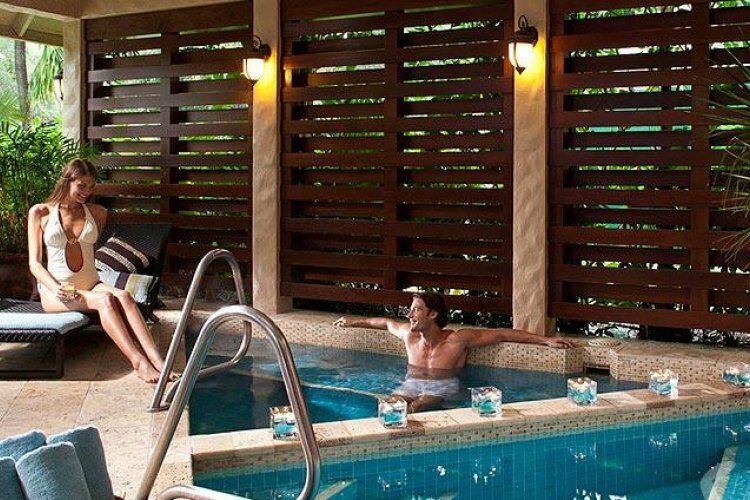 There are a number of whirlpools and swimming pools, one with a swip up bar. The huge pool at the Mediterranean Village is the largest in the eastern Caribbean. For total relaxation head for the Red Lane Spa where you can indulge yourself with a facial or massage, reflexology, hydrotherapy treatments and body wraps. 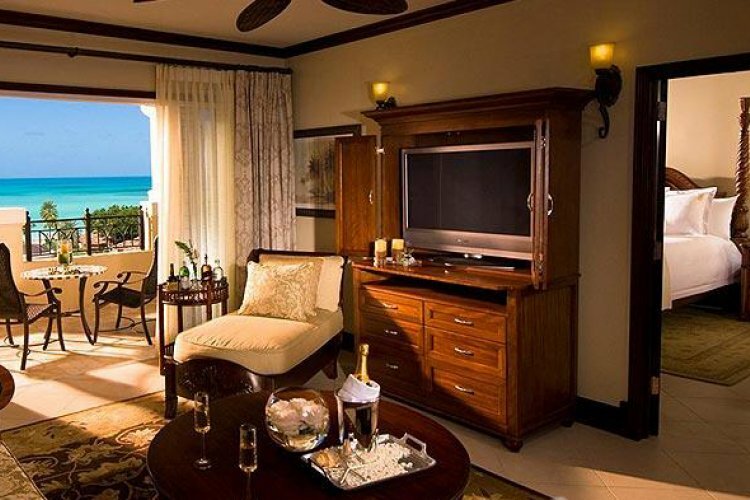 Set on one of the loveliest beaches on the island, Sandals Antigua is a stylish deluxe village resort. 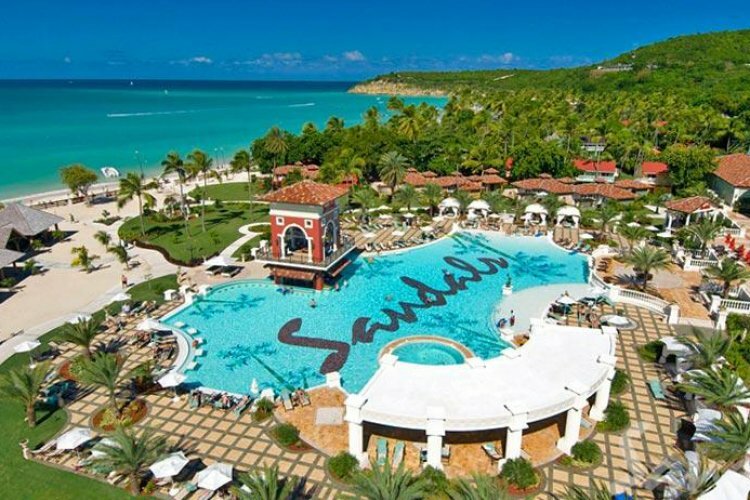 With high standards, great facilities and Sandals Ultra All Inclusive set up, a holiday to Sandals Antigua represents excellent value for money.